Water sports like surfing will not only provide fun experience but also, it will make us closer to nature especially if we surf sustainably using the Cleaner Waves Surfboard of Michael Grobelny. 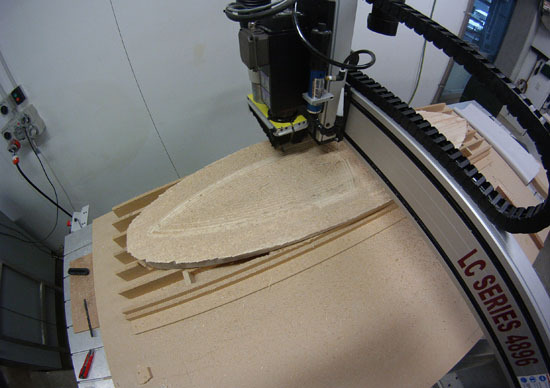 Being made of wood, these surfboards will surely require no especial hazardous materials or methods during the manufacturing process. Few sports would celebrate the natural environment as much as surfing but surfboard manufacture can be a toxic business. 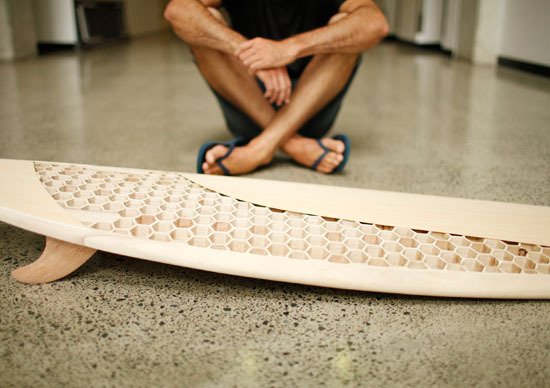 Surfer and AUT product design graduate Michael Grobelny has designed a strong, lightweight and eco-friendly wooden surfboard which eliminates the use of polyurethane foam, fibreglass and polyester resin. 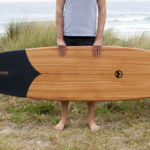 “The physical act and culture of surfing provide an intimate connection with natural forces,” says Michael, who designed the board as part of a research project for a Bachelor of Design (Honours). “It’s this emotional and physical engagement with nature that makes surfing a powerful and enriching experience. 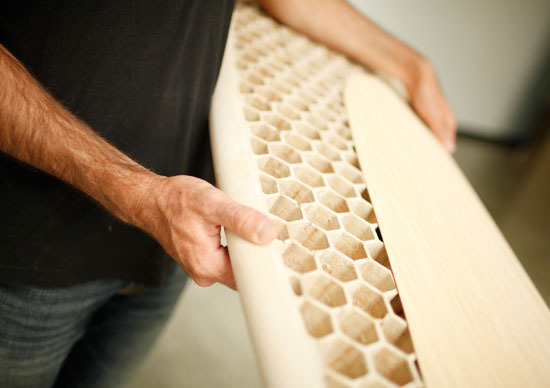 Inspired by the Hawaiians who invented surfing and used solid wooden surfboards, Michael researched different types of timber looking for something strong, light and sustainable. 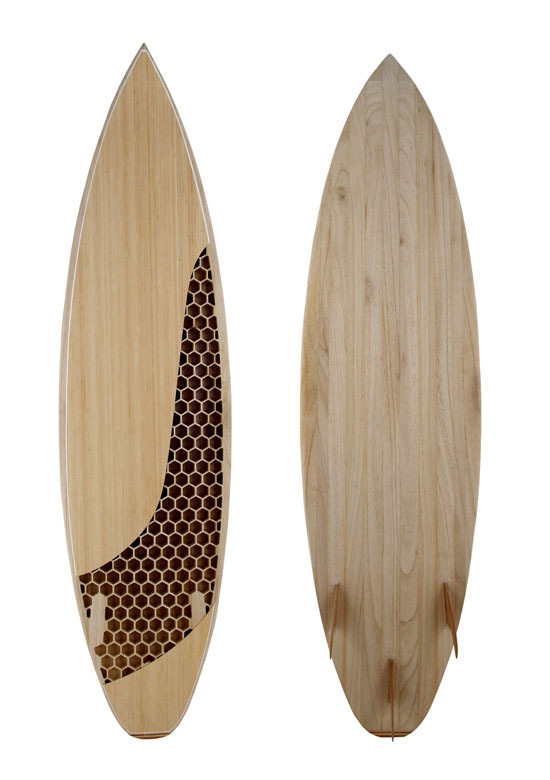 He settled on paulownia, a fast growing, locally available wood which is becoming popular in surfboard construction. 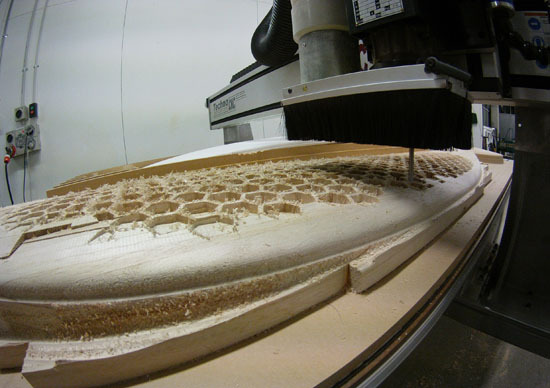 In AUT’s product design workshop Michael had use of a CNC (computer numerical controlled) router which he used to shape the overall form of the surfboard and remove excess material to create an internal honeycomb structure. This buoyant body was then sealed with a bamboo veneer deck before being coated with a biodegradable varnish. The resulting board, weighing 3.3kilograms and measuring 6’3” X 19” X 2 and 3/8”, has the skeletal strength and high performance qualities obtained by synthetic short boards. 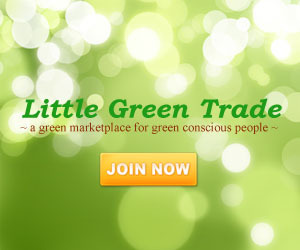 Throughout the project Michael applied the environmentally friendly guidelines of the Cradle to Cradle Design framework which aims to create systems that are not only efficient but virtually waste-free. This meant waste sawdust from the routing process was re-used as agricultural compost. To ensure a longer lifespan than light weight synthetic boards he had chosen natural materials with high resilience. “The robust nature of the bamboo veneer provided a great natural alternative to resin and fibreglass. Both bamboo and paulownia are extremely fast growing making them ideal for sustainably designed products, as they are more easily sourced from a sustainably managed natural plantation.